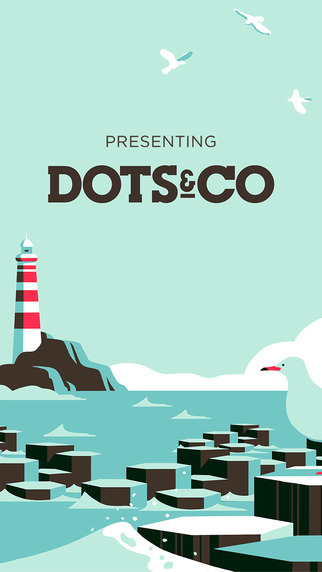 Dots & Co is a brand new game from the acclaimed developer of Dots and Two Dots. 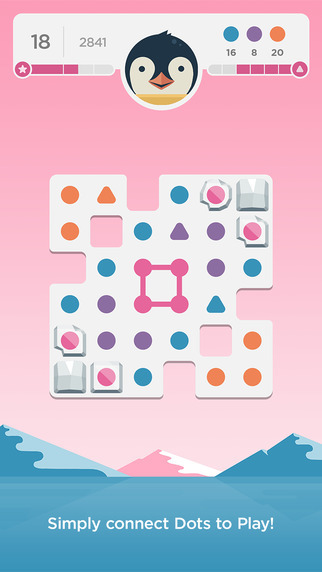 Like the previous games, Dots & Co features a colorful array of dots that need to be matched and cleared but adds some new play mechanics into the mix to spice things up. 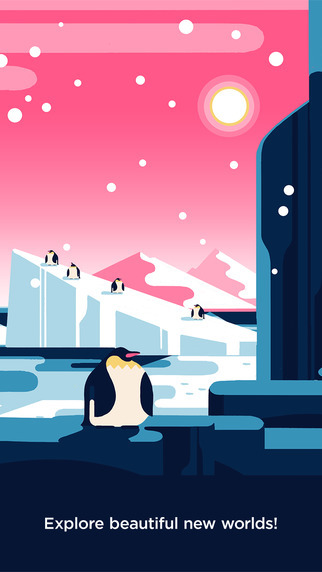 The game features 155 specially crafted levels with more to come in future updates. 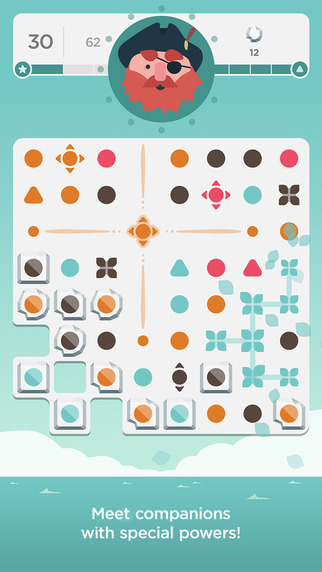 Dots & Co plays a bit like most of your standard matching games. You can link 2 or more dots of the same color together to form a match and clear them off the board. What’s different is that you can even match dots around corners and if you happen to form a square or rectangle by closing off the dots, you’ll clear the entire board of that color. It’s their version of a powerup. Not only that, there are buddies you can unlock that accompany you on each puzzle. They each of a different skill set that can aid you in solving each puzzle. They also act like powerups. Of course the game also features actual powerups that need to be purchased with in game currency or real money. On a purely aesthetics note, Dots & Co really is a beautiful looking game. The actual game itself is simple and minimalistic while the game menus and everything inbetween the actual games are beautifully drawn with some great artwork. Complimenting the art is the audio which features some rather soothing tunes making the whole experience very calming and mellow. 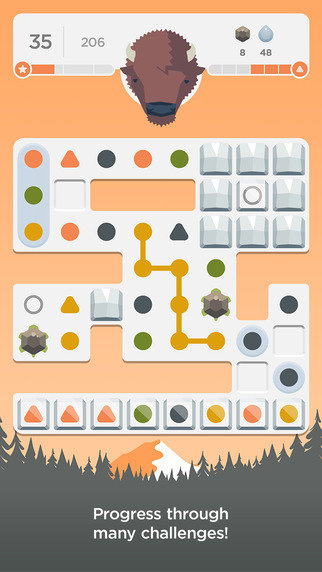 Dots & Co is a nice followup to their Playdot’s previous titles, Dots and Two Dots. While it may seem like just another matching game, its got some interesting play mechanics that set it apart. Not only that, this is a puzzle game that isn’t very stressful and one that you can play at your own pace. It’s still pretty challenging though, but not in a way that will make you want to rage quit. Explore beautiful landscapes and embark on a visual journey by solving puzzles with magical companions that help you along the way. If you loved Two Dots, you’ll love Dots & Co: where new companions and their distinct powers bring a whole new layer of magic to the game you know and love. We remain committed to making sure all players can enjoy our games. You can turn on Color Blind Mode in the settings menu! PLEASE NOTE: Dots & Co is completely free to play, but you can also purchase items within the game using real money. Simply disable in app purchases on your device if you don’t want to use this feature.